Fully automatic coffee machine with digital display, the Gaggia Brera provides cafe quality espresso thanks to its Saeco Adapting System. 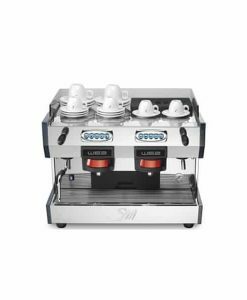 This espresso machine is ideal for domestic or office use. 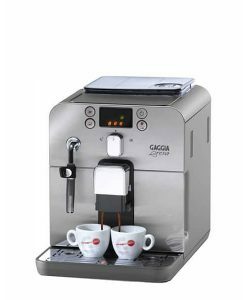 Traditionally designed with a modern stainless steel finish, the Brera is a fully automatic coffee machine from Italian manufacturer Gaggia. 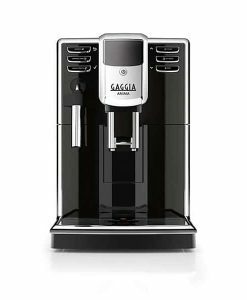 Although ideal for domestic or office use, the Gaggia Brera gives customers more bang for their buck, providing espresso good enough to be produced at a cafe thanks to its Saeco adapting system. 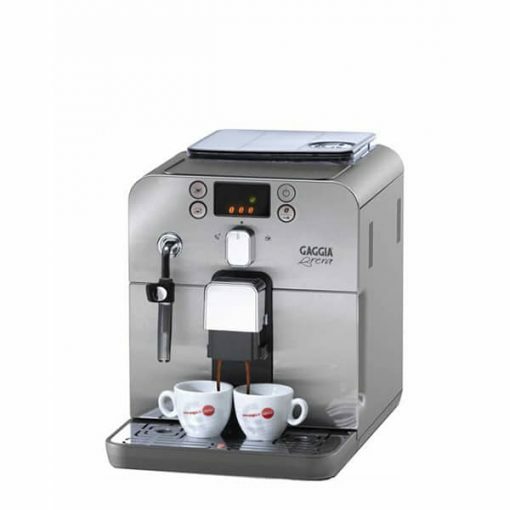 The Gaggia Brera comes with an automatic stand-by system for conserving energy. 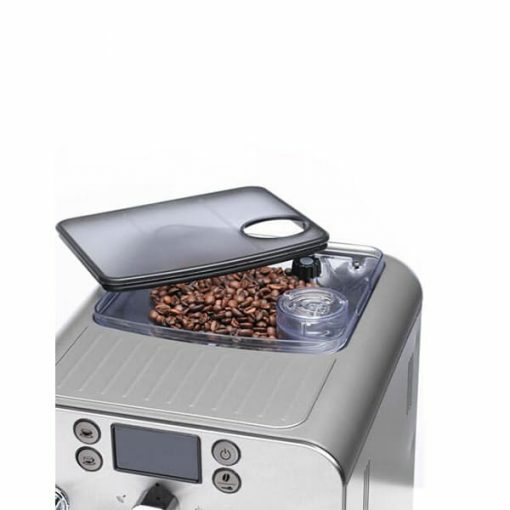 Durable ceramic grinder that ensures that coffee is not overheated or burned. 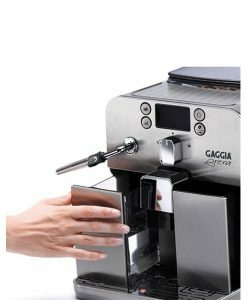 Digital display for easier navigation and quicker feedback on the status of the machine. 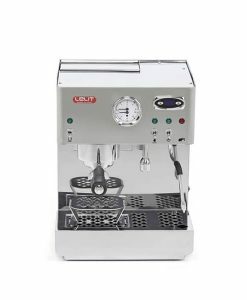 Stainless steel case for aesthetic value and long-lasting performance. 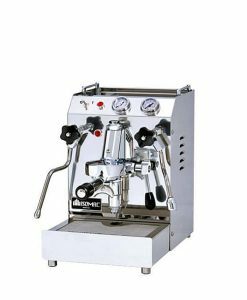 Descaling alarm to indicate necessary descale cycle and consequent improved durability. 15 bars of pressure for the perfect espresso taste. 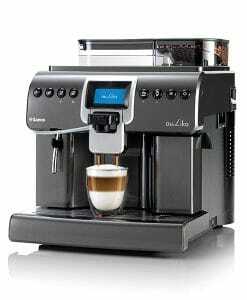 Automatic stand-by mode activated after 1 hour of non-use for energy saving. 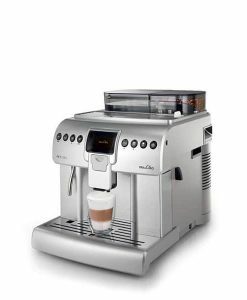 Quick heat boiler technology for superfast, immediate coffee brewing. 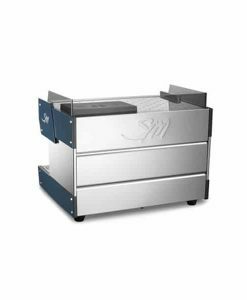 Automatic cleaning and descaling cycles for improved hygiene of the machine, as well as extension of its lifetime. 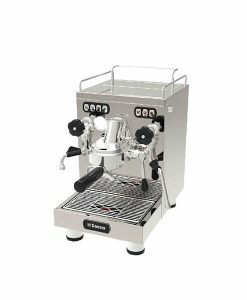 Espresso pre-brewing for even moistening before the actual brewing process; provides full aroma and a balanced and tasty espresso. 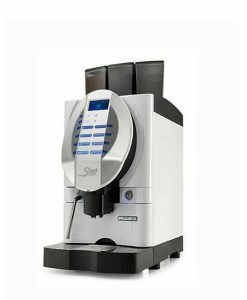 Removable brewing group for easy cleaning and maintenance, or even replacement when needed; contributes to improved hygiene and near flawless coffee taste. 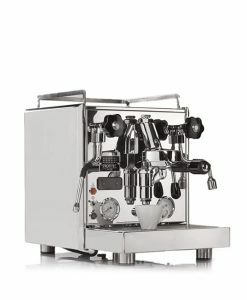 Dimensions (w x h x d): 455 x 330 x 425 mm. Power Supply: 230 V/50 Hz. 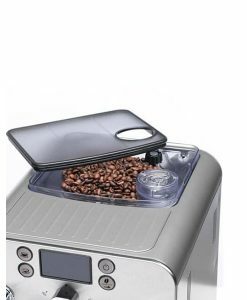 Coffee Bean Capacity: 250 gr. Waste Container Capacity: 8 servings. 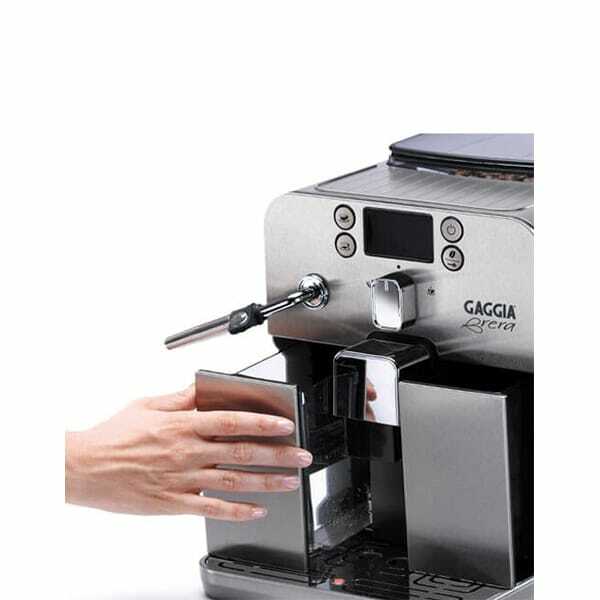 Maximum Cup Height: 120 mm.